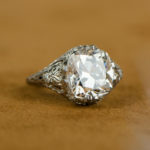 Vintage engagement rings are, as you might expect, engagement rings over a certain age. There is often confusion generated (sometimes deliberately!) when “vintage”, “antique” and “retro” get used interchangeably, but they all actually mean very different things. Antique usually refers to any object more than 100 years old, whereas retro is more of a style statement and refers to something that is designed to mimic objects or styles from past eras, but which could just as easily have been manufactured yesterday. Vintage falls somewhere in between. The authorized version of what is considered vintage is something older than 20 years but younger than 100, at which point it would become antique. So, when we talk about vintage engagement rings in 2016, we are really talking about rings that were made after 1916 but before 1996. It’s also possible to consider vintage as applying to a particular era, such as pre-war vintage or 1960s vintage and, with jewelry, it is common to apply the actual period name to the piece when talking about specific vintage styles eg. Art Deco, Edwardian, Victorian, Art Nouveau etc. As a result, vintage diamond engagement rings are usually more common than antique, with the added consideration that current vintage rings will become antique as they get to be 100 years old, and that the number of antique rings will increase accordingly. 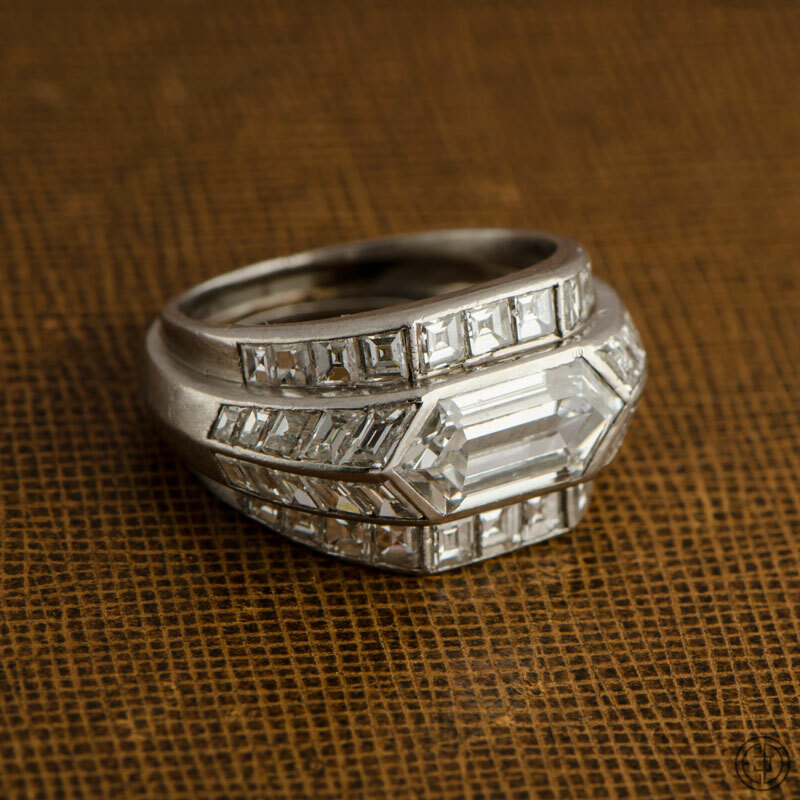 Indeed, we are currently going through a period in which original Art Deco pieces are coming up to 100 years old, and will go from being vintage engagement rings to antique engagement rings. This doesn’t stop them being Art Deco, of course, and the antique qualifier will usually be added to the description as an indication of age. It should be remembered that applying the term “vintage” to an engagement ring in no way implies a style or value of any kind. You can have vintage Art Deco, vintage Victorian or, indeed, vintage anything as long as it meets the age criteria. There is some usually some hope that applying “vintage” to an item description will add some gravitas (and value!) to the piece, and even more so with “antique”, but that isn’t necessarily the case. It is true that vintage is likely to be preferred to pre-vintage (items not old enough to qualify as vintage), assuming the quality and condition of the ring aren’t compromised, and a good vintage ring is far more likely to increase in value as it gets older. Simply applying the term vintage to a description, however, should only ever be considered informative and not as any indication of quality. Despite the broad depth of what technically constitutes a vintage engagement ring, it should be said that many engagement rings that currently do qualify as vintage come from eras which produced pieces of spectacular design and very high quality. Art Deco, in particular, is still a much copied style among present day designers, and the best examples are highly sought after by both collectors and individuals alike. The simple fact is that, if you see something designed as a vintage engagement ring, it will usually be worthy of further investigation. Despite what we’ve said earlier about the term not being any indication of quality or value, the fact is that if a ring has lasted long enough to be classed as vintage and is in good condition, it’s been well looked after for a reason. That reason will usually be that the quality has warranted the extra care taken throughout the decades.